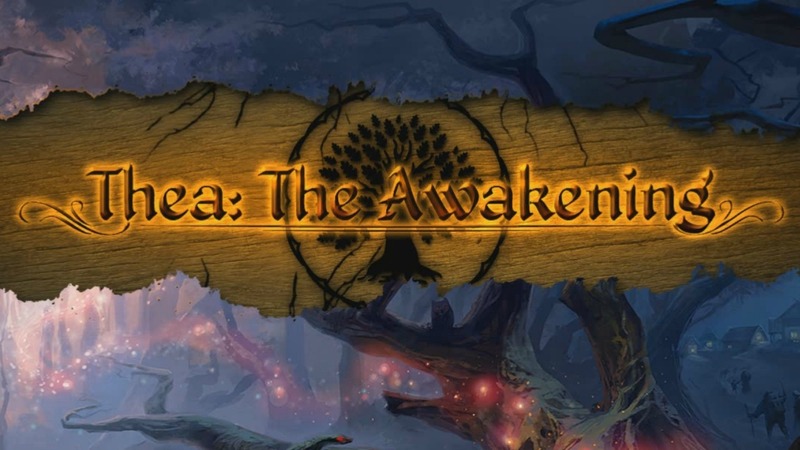 Thea: The Awakening strikes me as a game designed for people of rather specific tastes. While that may sound like cheap platitude, rest assured this is not the case. Developed by Muha Games, a studio based out of the UK and Poland, Thea is what would happen if Endless Legend had a kid with NEO Scavenger and the two of them hired Gwent from The Witcher 3 to raise the kid on a steady diet of Eastern European folk lore. Like I said, specific tastes. The game is set in the eponymous land of Thea, recently emerged out of a prolonged period of death and decay. Assuming the role of a benevolent deity, players guide a single village through this time of recovery. While the general goal is one of survival against seemingly impossible odds – as is the flavour with most games that venture into the realm of permanent death and procedural generation – a story does gradually unfold over time. It’s a slow burn of a story, for sure, but so was Dark Souls and I really liked its approach to narrative development through inches. Settling into Thea for the first time requires negotiating a small, but noticeable, learning curve. 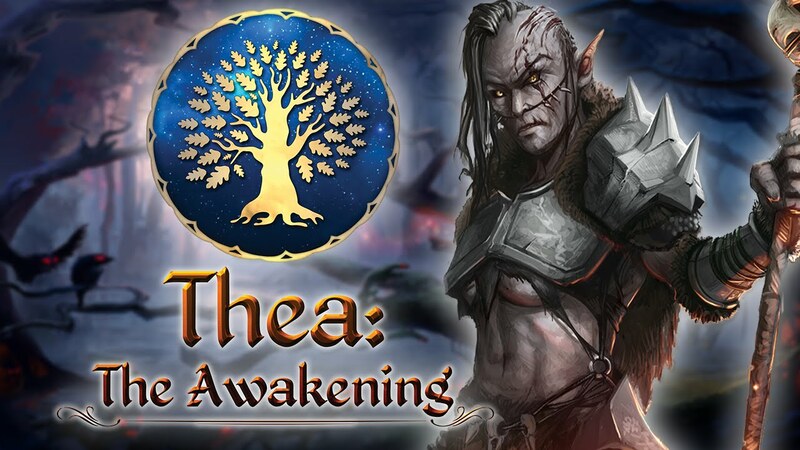 At its core, Thea is a turn-based strategy/resource management game. A player’s village always has a death clock hanging over its head in the form of dwindling food and firewood. This makes the first twenty or thirty turns a very tense affair. In my experience, cleaning out the local monster nests was nowhere near as important as deploying a clutch of warriors and workers to secure a new supply of food. Once those first rounds were behind me, I finally let myself dig into the game’s complex crafting system. This is where Thea feels like I’m playing the most richly designed worker placement tabletop game ever imagined. Remember, specific tastes. Some of you are going to love micromanaging the equipment and supplies of a dozen simulated people before sending half of them into battle against a Striga – a battle which is played out through a card game. Others are going to find the initial experience fiddly, possibly even intimidating. All I can say is Thea is quick to reward persistence. The relatively stable number of villagers in play means that the first crush of micromanagement trails off fairly quickly. Returning to a previous point, yes, I said a card game simulates the battles. Thea handles combat, and a number of other skill challenges, through a card battle system. The rules governing this system are simplicity itself. Yet the easy mechanics only serve to underscore the impressive way Thea applies seemingly dozens of stats for each villager into the card battle system. Even though I found myself simulating a few battles in the mid-game, particularly when my party was powerful enough as to not fear skeletons and mutated bees, I always wanted to play through the card combat. If only to hedge my bets against the way seemingly minor injuries incurred in combat have a way of leading to infection and death if left untreated. Needless to say, this adds a measure of tension to even the most one-sided of battles. For the purposes of this review, I will admit to not having successfully completed Thea. I’ve lost each of my four attempts to beat the game. The first play though was a wash since I skimmed through most of the tutorial text. Read the tutorial text, people. The second through fourth time met with better results. On each occasion my downfall was in my ambition. The most precious resources in the game are a player’s villagers. Unlike food and minerals, people are a finite resource. Losing even one villager can make an impact on a player’s overall economic and military health. Losing four because the majority of your fighters were off fighting Striga-bats (yes I said Striga-bats, I didn’t know they were a thing, either) is almost crippling. I watched my village slowly starve to death as my fighters made their futile attempts to bang their swords to plough shears and farm with barely half the efficiency of my dead workers. Ultimately, I resigned the game and started fresh, progressing even farther before disaster struck again. Yet in failure there is satisfaction. Thea is about rebuilding the world out of the ashes of armageddon. It is a struggle against the forces of entropy. It stands to reason things aren’t going to go to plan the first few times. Like Dark Souls, X-Com, NEO Scavenger, and FTL, losing at Thea only stings temporarily. A new game means a new map and new chances to watch it all go so terribly wrong lead the people to triumph. In the end, Thea brings together a style that fuses Civilization and a fantasy twist on Fallout, wrapping its package in a mythology that should be reasonably familiar for anybody who recognizes the name Geralt of Rivia. In terms of mechanics, the game does something genuinely fun and innovative with the buzzwords “rogue-like” and “procedurally generated”. Where the art can be a little stock-fantasy in the over world – particularly in a post Endless Legend gaming market – the look of hand-drawn detailing in the card battle system adds a nice flourish to the overall experience. Thea is likely to find a happy home among the sort of people who enjoy reasonably deep RPGs, worker placement tabletop games, or the existential dread of Dark Souls. Looks like my kind of game… Thanks, nice review! How do you think about the graphics of this game? Given the small team behind the game, they are good. The look of the game really pairs nicely with the folk lore theme they are working with.